Repair and restore your Michael Kors sunglasses or eyeglasses to look and feel like new. Michael Kors has always had a keen eye for fashion. At the age of 5, he designed a wedding dress for his mother. As a teenager, he began his sell his designs out of the basement of his childhood home. His passion for classic American sportswear led him to receiving his own space in a boutique in New York City where his designs caught the eye of Dawn Mello, the fashion designer at the department store Bergdorf Goodman. From there, Michael was able to launch his own line at stores like Bloomingdales, Lord & Taylor, Neiman Marcus, and Saks Fifth Avenue. Michael Kors eyewear can complement any look perfectly, so keeping them in good shape will have you looking stylish for years. Our laser technology can fix any damage to your sunglasses or eyeglasses with little to no evidence of repair. You don’t have to throw out your damaged Michael Kors glasses, send them to Eyeglass Repair USA to get them looking good as new! In the last ten years we have repaired many pairs of Michael Kors eyeglasses, sunglass hinges and nosepads. A repair is often easier and faster than to find an original part for your older Michael Kors glasses. Click Here to begin the process of getting your glasses repaired. 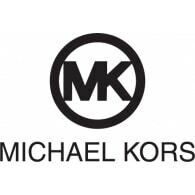 We repair frames, hinges, and nose pads for all kinds of Michael Kors glasses!